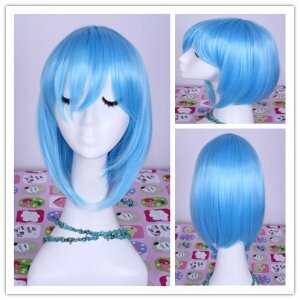 Cosplay wigs have always been designed bold, cool and stylish, they are born to meet the pace of fast-paced society, and also very consistent with the needs of modern personalized social and spiritual yearning. 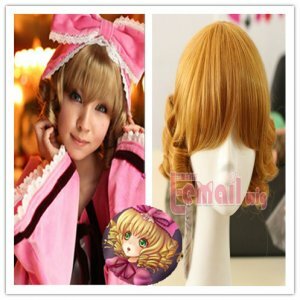 Cosplay wig is the representative product of popular anime cosplay around the world. 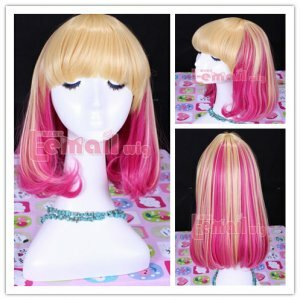 With the pace of today’s young fashion, cosplay wig has quickly spreaded around the world. Nowadays, the development of wig is entirely based on social style and adding to more romantic flavors, and has been slowly revision. In the near future, there will be more people to wearing cosplay wigs and show in the comic-con or other occasions! 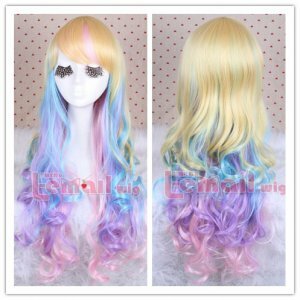 From the points of length and style, cosplay wigs can be divided into Phi hair style, long hair style, short hair style, half type, wavy, straight hair, braid hair style and classic curly hair type; and from the color, it can be devided into black, white, beige, light brown, golden, silver, blond and red. Because of the difference of the materials, the way to take care and protection are also different, people should make the appropriate care based on the quality and condition of your wig. This entry was posted in Wigs and tagged cosplay costumes, cosplay wigs, wigs.